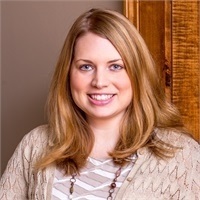 Shelly Floyd | Vision Financial Group, Inc.
Shelly graduated from The University of Alabama in 2006 where she received her Bachelor of Science degree in Restaurant and Hospitality Management. After graduation, Shelly worked in Operations and as a Client Service Associate at Morgan Stanley before joining Vision Financial Group in October of 2012. As the Director of Client Experience, Shelly’s responsibilities include inputting and maintaining client records in the database to keep information current, providing clients with Emoney Advisor website assistance, and also being the primary contact for coordinating client reviews. Shelly and her husband Brian have been married since 2012 and have two boys, Martin and Miller. They are active members at Oak Mountain Presbyterian Church and are involved in the music ministry.